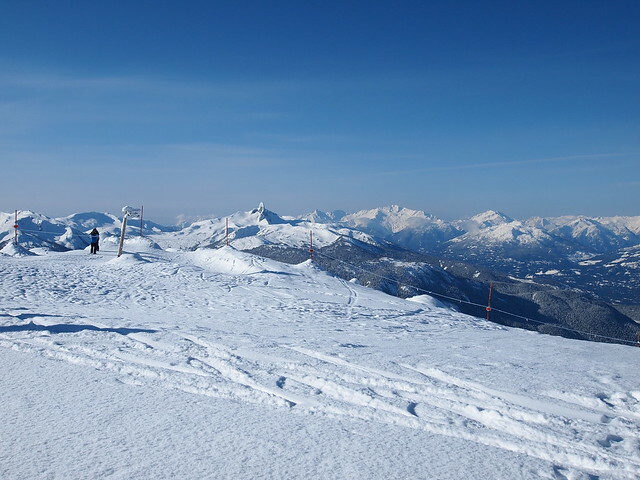 My first 4 days in Whistler were spent skiing, sleeping and eating. I kept up with the blogging a bit. I tried to keep up with the fashion weeks unsuccessfully. Once the craving for sleep got to me the blogging dropped off. 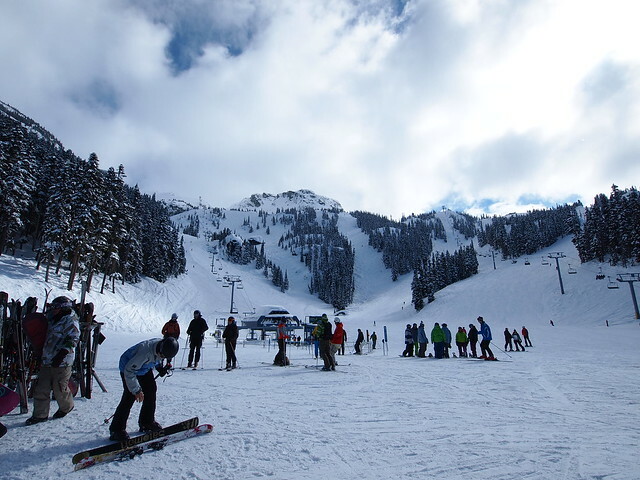 I usually ski 4 or 5 days in a row while in Whistler. This trip I did 7 days. Two of those days were spent learning to snowboard at the Roxy Snow Camp. My body is hurting. I did a lot of skiing alone this trip. My friend Eric came out a few times but had to work. He’s a local and has a season’s pass so he gets out a lot. I’m very jealous of his lifestyle. Eric likes to tease me with text messages about the conditions while I’m sitting at my desk in the Financial District. It’s absolute torture. I was hoping to meet up with my friend Mo who took me on my first double black diamond runs that last time I was in Whistler. Our paths weren’t meant to cross this trip and we didn’t get to meet up. It was a shame since I knew he would push me to try other double blacks I could handle. To be safe I didn’t get to some of the runs I wanted to. One of the first statements of the Alpine Responsibility Code is to ride with a buddy. 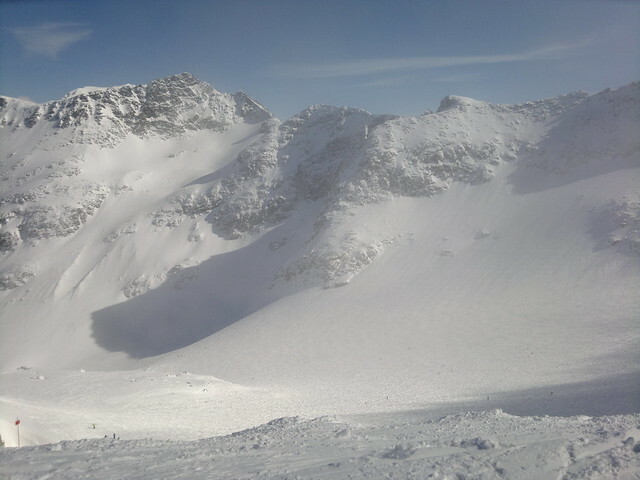 Flute Bowl is a part of Whistler Mountain that taunts and tempts me every season. It requires a 20-30 minute bootpack up the Flute Ridge (find correct name). The bootpack I’ve affectionately dubbed the death march. The death march, it looks like hell but the rewards are amazing. The death march really deters people from riding the Flute Bowl which means pristine conditions and deep pow. On my list was Spanky’s Ladder which leads into the Gemstone bowls (Garnet, Sapphire, Ruby and Diamond). I skipped out on doing a lot of crazy stuff I wasn’t familiar with at all when alone. I still had an amazing time. 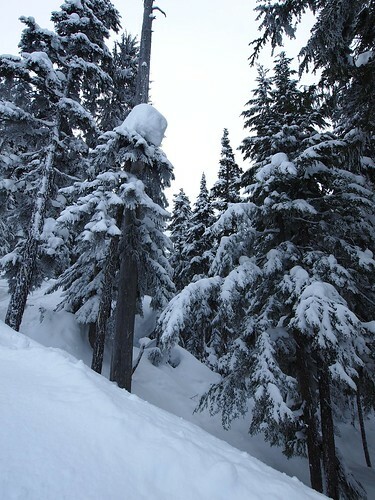 I rode favourite areas of both mountain like 7th Heaven, Blackcomb Glacier, Peak to Creek, Symphony and Harmony. 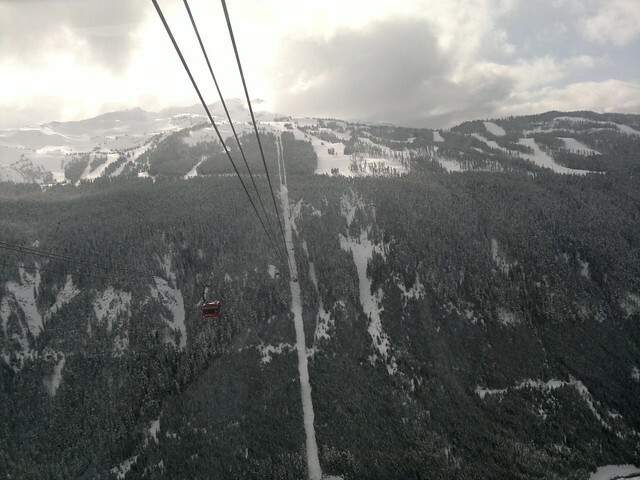 The last time I was in Whistler they were building the Peak 2 Peak gondola that would link Whistler and Blackcomb mountains. It’s the only gondola of it’s kind in the world. 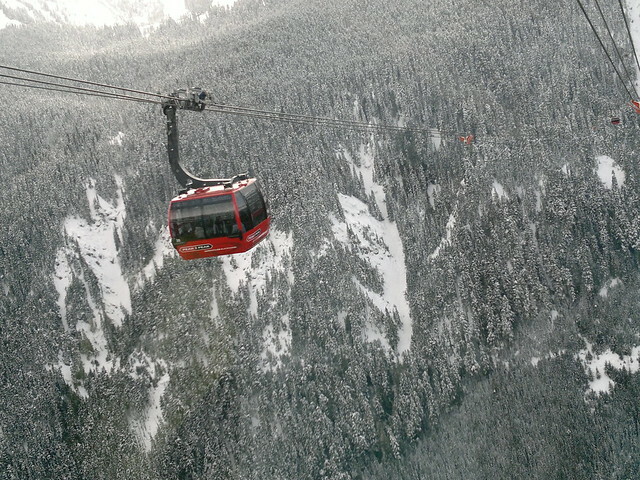 Spanning the distance between Whistler and Blackcomb Mountains, the new world record-breaking PEAK 2 PEAK Gondola is a breathtaking, 4.4-kilometre journey to infinite possibilities. 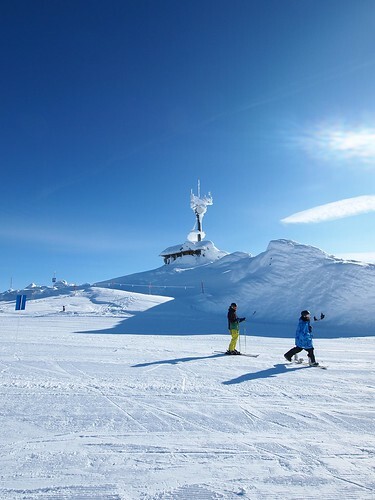 Redefining the Whistler summer experience by creating limitless new ways to get up-close-and-personal with the mountains, this engineering marvel breaks three world records. I was slightly scared my first trip across. There are only four towers and gondolas usually have many towers to get you from place to place. There is beautiful view of Fitzsmmons creek (which I ziplined across) and the valley between both mountains. I didn’t get a chance to ride one of the two glass bottomed gondolas. That would have been cool. The first day on the mountain was painful. I didn’t do any leg training ahead of time, even though I said I would. I had to take a lot of breaks. I even had a beer which is something I never do when riding. It got better over the next days and I was able to handle runs over 6 kilometres without stopping all the time. Orb Clothing provided me a jacket and base layer. It wasn’t one of their more technical jackets but it worked well. It was waterproof, breathable and combined with my 4 base layers it was really warm, too warm some days. My only issue was the buttons. They were hard to snap on with gloves and one popped off on my sixth day on the mountain. I’m still wearing my K2 pants from when was 18. I love the colour but I need an upgrade to something waterproof and windproof. I way over packed for this trip. I could halved my clothing budget as I spent most of my time in gear or PJs. The weather was a mixed bag. I saw the whole gamut of options: clear and sunny, overcast or snowy. The weather always changes in the mountains and you take what you are given. On Wednesday, a storm came into the area and closed many of the chairs heading up the mountain. Creekside was pretty much shutdown. Eric and I caught one of the last rides up the mountain. We didn’t get too far after that and headed over to the Whistler village side of things which was marginally better. 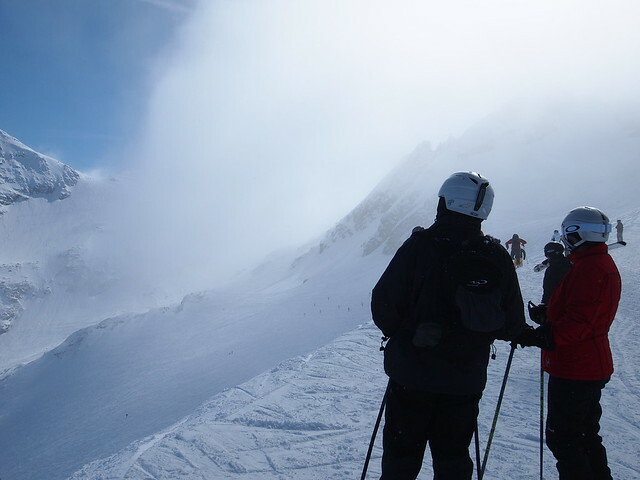 The alpine saw winds of around 100 km/hr and really low visibility. That probably was the worst day I had but I still went out and rode what I could. It was a good day for warming up after my hurting day 1 on Tuesday. Thursday was the best day. The storm of Wednesday dropped some good snow and there was some pow to be had. I was skiing alone again so I avoided a lot of the unknown fun stuff. 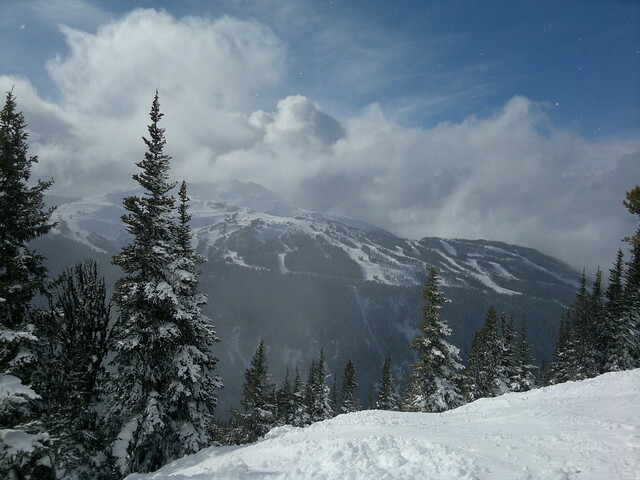 First order of business was 7th Heaven on Blackcomb which offers some beautiful views and great gladed skiing. It lives up to the name in spades. I also made a point of hitting up the Blackcomb Glacier which is my absolute favourite spot on the mountains. The glacier is so immense. The sheer enormity of the place can’t be captured in pictures even with a wide angle lens. If you look at my photos taken from the top of the glacier you’ll see some little black specs that could be mistaken for noise. Those are people, that’s how big it is. When you finally ride out of the large glacier there is a 10km cat track that takes you back to the Excelerator chair where you can head back to the glacier if you have the patience for two more chairlifts, t-bar and a small bootpack. In all it’s probably about 13km from the top of the glacier to the end. A lot of distant to cover for one run, take that Collingwood. 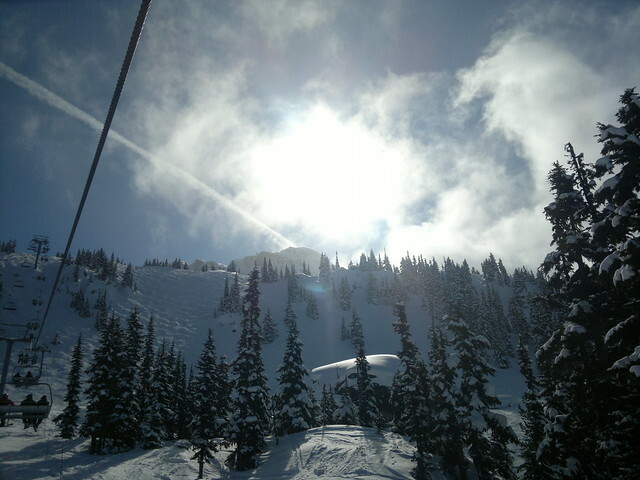 Monday, my last day on the mountain, was phenomenal too. It was sunny and clear for most of the day and the views of the Rocky mountain range from the alpine area were insanely beautiful. I felt really good that day despite the two days of snowboarding and using different muscles than skiing. 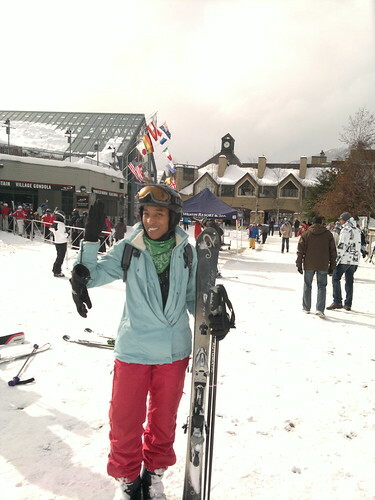 I probably did about 25km of skiing that day. Blackcomb Glacier was revisited to see it on a clear day. I also did my favourite run Peak to Creek twice which is a 6km run from the peak of Whistler mountain all the way to the base at Creekside. Monday was a major mileage day. 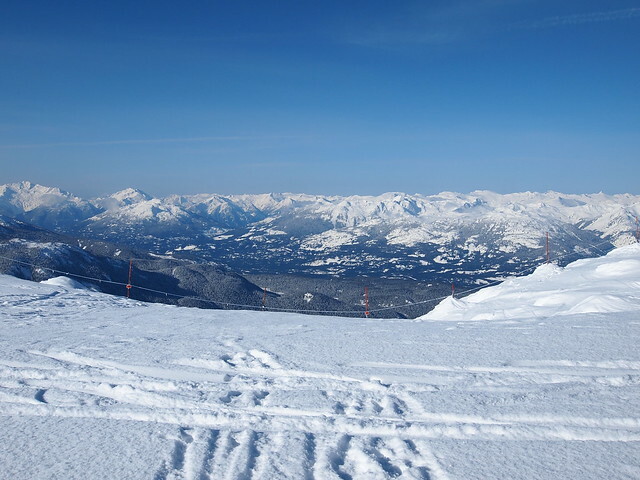 Whistler Blackcomb is why I can’t be bothered to ski in Ontario anymore. You go from runs that could take anywhere from 30 – 45 minutes to less than 5. ItÂ just doesn’t sit well with me anymore. Of course black diamonds in Ontario don’t even come close to what you see in the mountains. Double black diamonds are just none existent. Anita, you photos are amazing! Those views! Those beautiful, beautiful, BEAUTIFUL mountains! 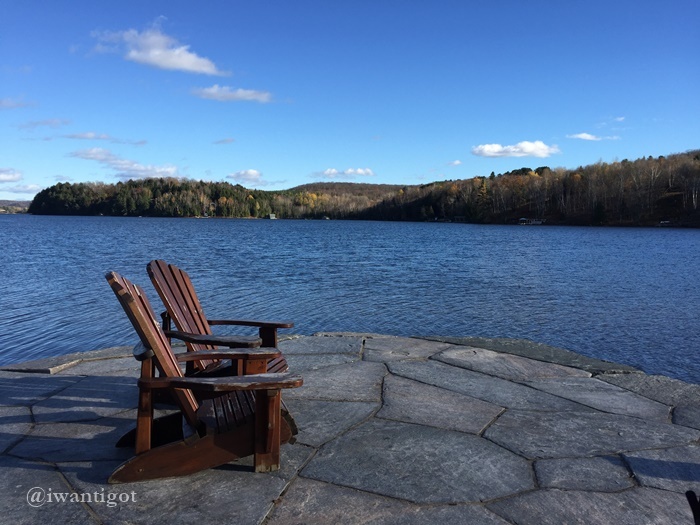 Speaking of sitting in the Financial District and longing for something better – this is it! Looks like you had a great time! I am hoping to go one day when I get better. There’s no way I could do black diamond or double black diamond…yet. Nice photos! This might be useful for travelers heading to Whistler – http://whistler-bc.net. Computer nerd with a fashionable twist.